Over two weeks ago I posted some screen-tests of Rita Hayworth for JOSEPH AND HIS BRETHREN (1955), a project that was never completed. An example of the a screen-test photo can be seen below. Since I posted that article, I got additional information from Gary Smith on this failed project. Above is a rare screen-test of Kerwin Mathews who was set to play Joseph. 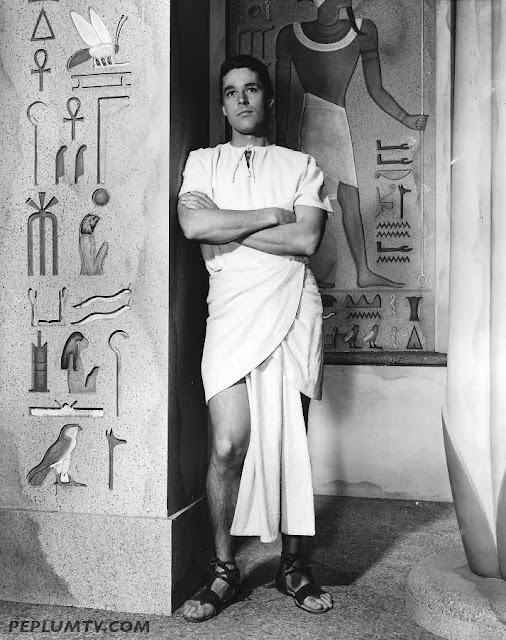 It seems that Columbia Pictures sent out a film crew to Egypt to film some location scenes to be editing in the final film once completed. 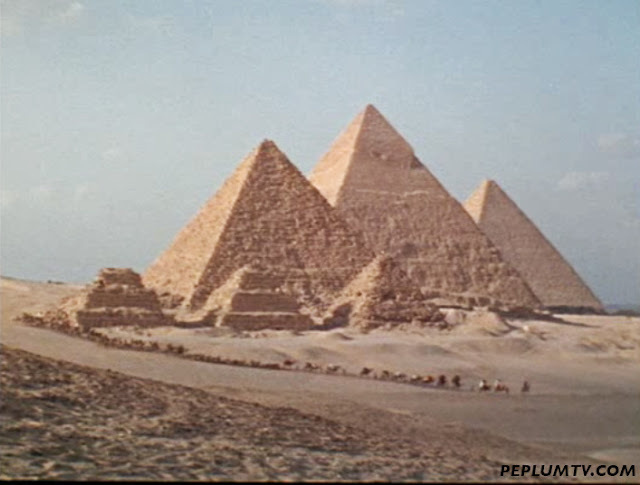 Since the project was never finished, some of that footage was used in the TV production of THE STORY OF JACOB & JOSEPH, which I posted a screenshot yesterday. This scene, below, appears almost at the very end of the TV film and lasts just a couple of seconds. There's no doubt that this production would have been a fascinating one to watch had it been completed but, alas, these are the only indications left of what the film could have been. 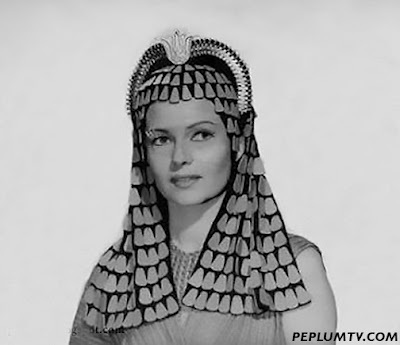 Hi, I have a little clip with actual footage from Joseph and his Brethren, plus a few more test photos of Rita Hayworth and a photo of Rita and a male actor whose name I don't know.